X-Men: The Last Stand is the conclusion to the trilogy of X-Men films based on Marvel comics’ mutant superheroes who fight for tolerance in a future society of discrimination. 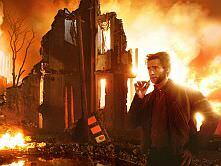 After Bryan Singer’s excellent first two X-Men films, expectations were high for X-Men: The Last Stand. However, this film is not only a massive let down and awful conclusion to the series, but also an example of much that is wrong with Hollywood cinema. The plot of X-Men: The Last Stand concerns the development of ‘The Cure,’ which is designed to reverse mutation and turn mutants into ‘normal’ human beings. When ‘The Cure’ is turned into a weapon in the humans’ war against the mutants, battle lines are drawn. 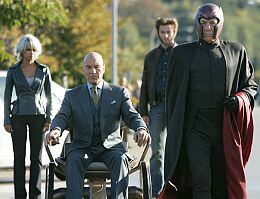 Professor Charles Xavier’s (Patrick Stewart) team of X-Men desire peace between humans and mutants, while Magneto’s (Sir Ian McKellen) Brotherhood believe mutants are superior to humans and seek to exterminate the unevolved race. Complicating matters is the reincarnation of Jean Grey as The Phoenix (Famke Janssen), the world’s most powerful mutant, who can be used as the ultimate weapon by the side that wins her allegiance. 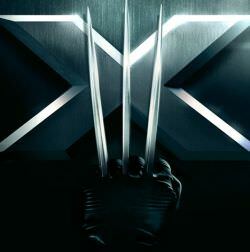 Along for the ride are mutant favourites Wolverine (Hugh Jackman), Storm (Halle Berry), Rogue (Anna Paquin) and many more. To the enormous detriment of the X-Men series, Bryan Singer was replaced as director of the third instalment due to his conflicting schedule working on Superman Returns. He has reportedly maintained that he would have directed X-Men: The Last Stand had 20th Century Fox given him more time, however, they chose instead to replace him with Brett Ratner (Rush Hour 1 & 2, Red Dragon). Singer took his entire team including writers, production designer, editor, and cinematographer over to the Superman project. In contrast to Singer’s deliberate storytelling and coherent pacing, Ratner’s X-Men is a complete mess. There is no build-up of tension, long-serving characters are treated with contempt and disappear from the film, the dialogue is often weak and occasionally laughable (though not funny), and the climax is a cacophony of special effects with actors serving only as props. X-Men: The Last Stand’s biggest problem though is its fractured narrative. Ratner seems to forget about the ethical dilemmas of ‘The Cure’ and themes such as discrimination, intolerance and genocide early in the film. Instead, the film moves onto the war between good and evil mutants where each character gets to use their powers and there are fireworks and explosions aplenty. Characterisation and story are almost completely absent. 20th Century Fox’s X-Men: The Last Stand had the second largest opening-weekend box-office ever when it opened in the US last week. Which is exactly what the company wanted when they chose to rush out this film and not include the makers of the first two X-Men films in the process. It is testament to the smash-and-grab style of filmmaking that is Hollywood at its worst. This is most disappointing for fans of the X-Men films and comics, as well as people who enjoy quality action and science-fiction cinema, who are completely left out of the equation. Recent articles by Donald Russell.